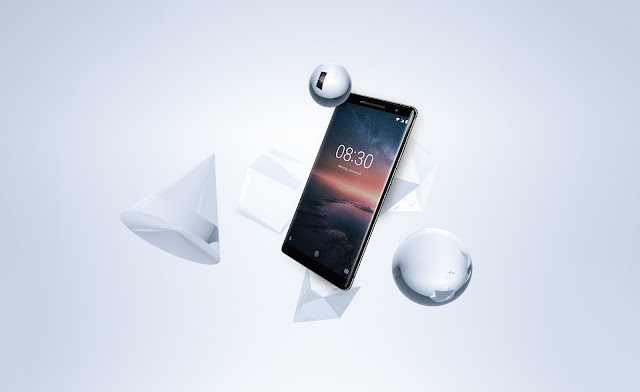 HMD Global Launches Nokia 6 (2018), Nokia 7 Plus & Nokia 8 Sirocco In India - AndroGuider | One Stop For The Techy You! 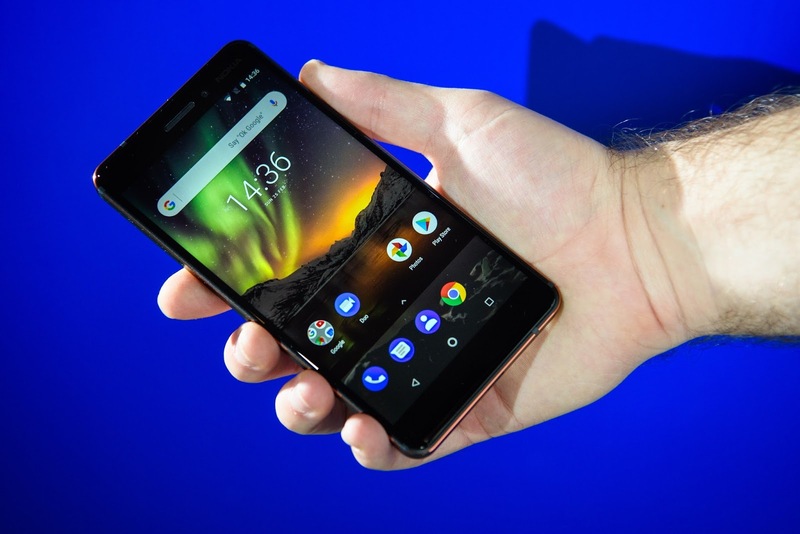 HMD Global launched the Nokia 1, Nokia 6 (2018), Nokia 7 Plus, and Nokia 8 Sirocco at the Mobile World Congress in February. Now the Finnish company has launched the four smartphones in India. The Nokia 6 (2018), Nokia 7 Plus and Nokia 8 Sirocco were announced for the subcontinent at an event in New Delhi yesterday. Barring the Nokia 1 (which is a part of the Android Go initiative), all the smartphones announced by HMD are part of Google's Android One program meaning all the devices will run stock Android and will get monthly security updates. HMD has also announced that all the future Nokia smartphones will be Android One devices. HMD will be selling all the Nokia phones and accessories in its newly launched online marketplace - Nokia phones shop. The online portal offers free shipping for all the purchased products along with a ten day return scheme. Let us take a look at each of the new Nokia phones. The Nokia 8 Sirocco is HMD's flagship device for the Indian market. The Sirocco replaces the Nokia 8 which was launched in August 2017. As compared to the 8, the 8 Sirocco has a larger 5.5" pOLED display which is curved at the edges. The aspect ratio is 16:9 like the Nokia 8. The 8 Sirooco has a steel frame which according to HMD is 2.5 times stronger than the series 6000 aluminium the 8 is made of. The 8 Sirocco has the Snapdragon 835 like its predecessor, but it has 2GB more RAM, support for Qi wireless charging and IP67 dust and water resistance. In the camera department, the 8 Sirocco has a dual setup at the back comprising of 12MP and 13MP sensors. The front camera is a 5MP sensor. The Nokia 8 Sirocco can make use of both the front and rear cameras at the same time. This feature, termed as "bothie" (both + selfie), captures footage from both the front and rear cameras at the same time, and then puts them together in split screen mode. The Sirocco will be available for pre-booking starting April 20. The handset is priced at Rs 49,999, and can be brought from Flipkart, Nokia Online and several retail outlets. 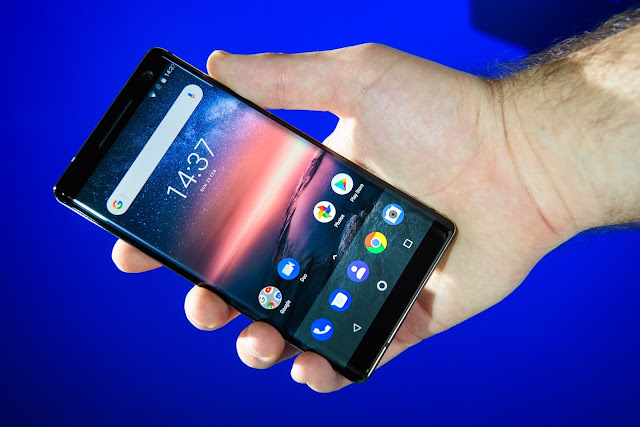 The Nokia 7 Plus is the first Nokia smartphone with an 18:9 screen. HMD is marketing the 7 as "a phone you can rely on." That's a hefty claim to make. The Nokia 7 Plus' specifications help HMD in living up to its claim. The 7 Plus has a 6" Full HD+ IPS LCD display, 4GB RAM, Snapdragon 660, and 64GB onboard storage which can be expanded using a microSD card. HMD says that the 3800mAh battery should last for two days on moderate use, and if you run out of juice, there is support for fast charging. There is a dual camera setup (12MP+13MP) on the back while the selfie shooter is 16MP. The bothie camera mode is present along with "pro audio" and "pro camera" features. You will be able to pre-book the Nokia 7 starting April 20. The smartphone will be available for purchase from Amazon, Nokia phones shop and several retail outlets. The second generation Nokia 6 was announced in China earlier this year. The global variant of the handset was unveiled at MWC and now the smartphone is available in India for Rs 16,999. The Nokia 6 (2018) features a 5.5-inch full HD display with 4GB RAM and Snapdragon 630. The smartphone is fueled by a 3000mAh battery and has a 16MP snapper at the back and an 8MP sensor in the front. Like the aforementioned Nokia devices, the Nokia 6 too will have the bothie feature. Last year's Nokia 6 was powered by a Snapdragon 430, so in terms of performance, the Nokia 6 (2018) is a massive improvement over its predecessor. HMD says that the second generation Nokia 6 is 60% powerful than the first generation. The Nokia 6 (2018) will be available for purchase from today on Nokia phones shop, and offline retail stores. The Nokia 1's display is a 4.5" screen which has a meager resolution of 854x480. The phone has MediaTek's MT6737M processor along with 1GB RAM and 8GB internal storage. The storage is expandable. Like the Android One smartphones launched in 2014, the Nokia 1 has a 5MP rear camera and 2MP front camera. There's a 2150mAh battery and the device costs Rs 5,499. 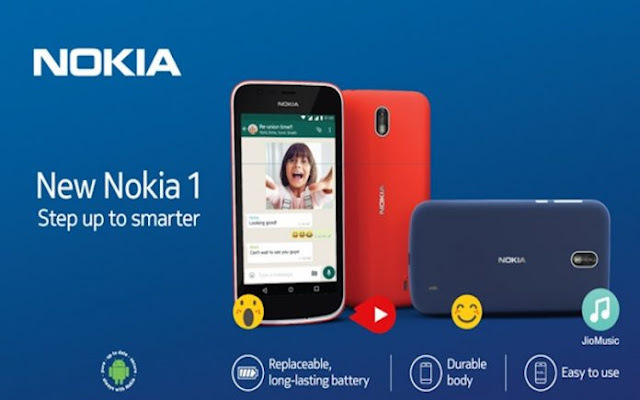 The Nokia 1 is expensive for its asking price since the Redmi 5A, at Rs 4,999, is 500 rupees cheaper and has significantly better hardware specifications.